1. 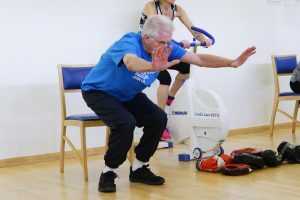 PDPower is a circuit based class for those in early stages of Parkinson’s with mild symptoms of PD. It is a high energy class based on the recent evidence and concepts from the PD Warrior™ philosophy to slow progression of the disease. Participants need a good level of fitness to attend and to have an initial assessment plus 1:1 sessions prior to attending the class. 2. 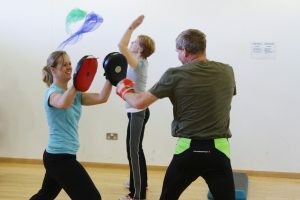 PDPowerUP Classes are for those with a lower level of fitness and balance issues and can be attended with a carer to support you. Wednesday Class at Beaconsfield only. See Class Venue for details.